The classic LeBron 4 colorway revisted on this new release. 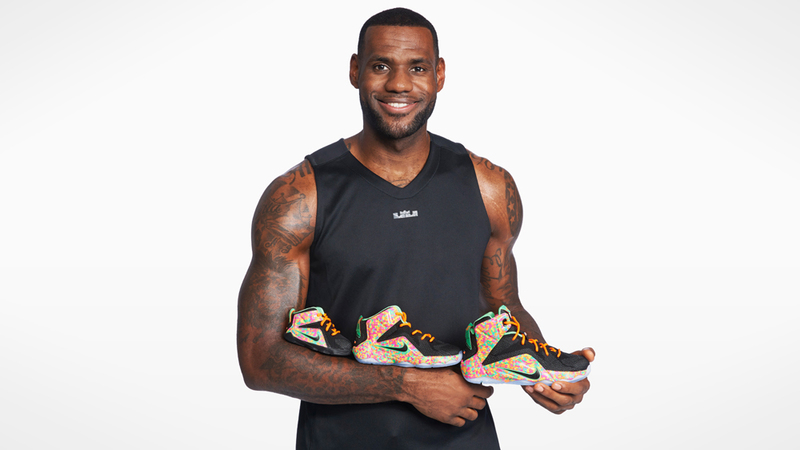 The infamous Nike LeBron 4 "Fruity Pebbles" will be paid tribute to with this new pair of LeBron 12s, which is also inspired by the cereal in question. The sneaker is even more colorful than the LeBron 4 that established the theme, as the wild cereal print completely covers the Hyperposite pieces. 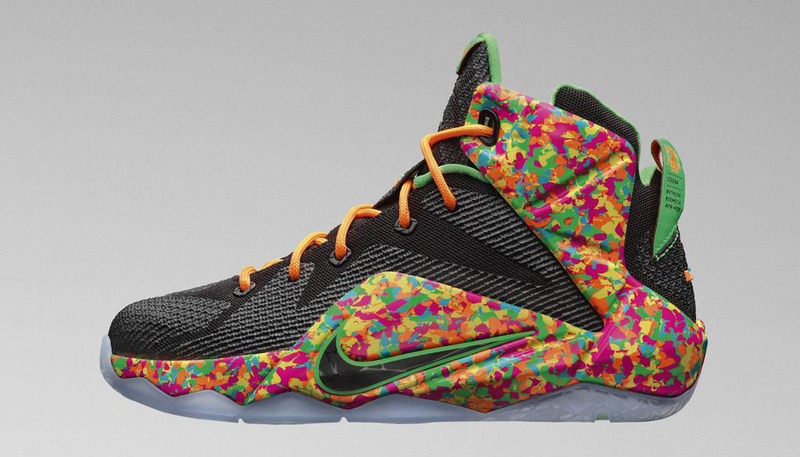 The print here is also a little more abstract, in contrast with the LeBron 4 "Fruity Pebbles" that pretty clearly depicted the breakfast cereal in question. The shoe also breaks from the overall lighter colorway of the 4 with its black Megafuse sections. 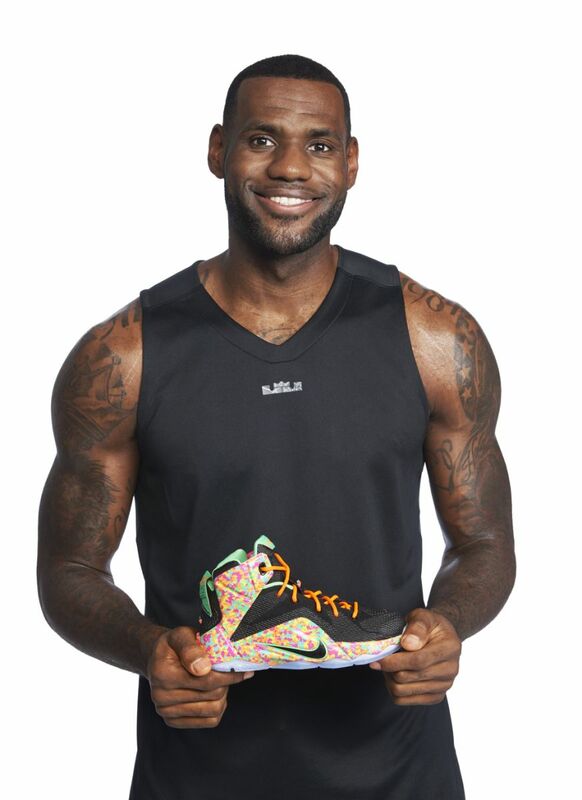 UPDATE 3/16: The Nike LeBron 12 "Fruity Pebbles" release date has been pushed back to March 18.